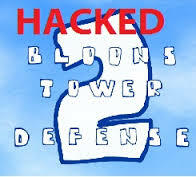 Play the Bloons Tower Defense 4 Hacked online game here free in your browser. 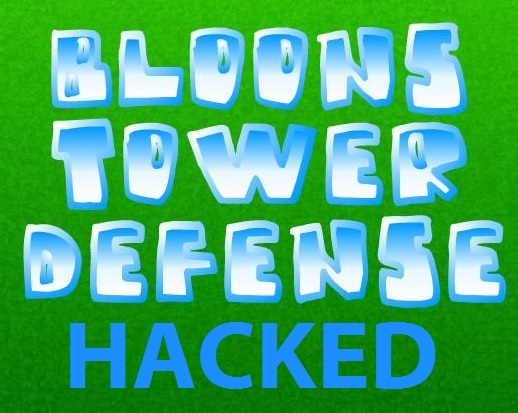 Bloons Tower Defense 4 has been hacked unlocking all the monkey towers, upgrades and special abilities. The BTD4 hacked game gives you infinite money in which to buy as many monkey towers and upgrade them to the max. Good news then for you if you previously are always being defeated in BTD4 with the BTD4 hacked game online. 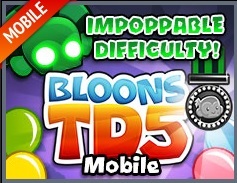 BTD4 returns being the sequel to BTD3, and this time there are all new tracks, new monkeys that throw darts of new kinds, and also new types of bloons on the horizon that you will have to pop if you want to survive. 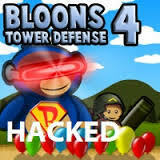 Well BTD4 is was is still considered even the best Bloons TD game. Because everything they learned from previous shined through in the 4th edition. Like new graphics and sounds, new characters, maps, towers, upgrades, and the new modes of Career Mode, Sandbox Mode or Apocalypse Mode as well as new challenges like the Lollipop and MOAB challenges. 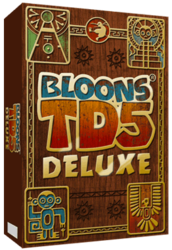 You’ll want to play BTD4 just like any other in that you have to pop all the bloons as fast as you can before they reach you at the end of the path that they float along. Different bloons have different weaknesses and strengths. Easier ones come out first and then they get harder. Make sure to have the best monkey towers for them and upgrade them in later levels to make them better, faster, stronger and have more range. Some of the monkeys can be upgraded a few times to earn a super upgrade which doubles and triples its power. First select a track to play on provided its not locked. The tracks range from beginner tracks, intermediate tracks to expert tracks. New players should go easy at first but some Bloons fanatics will go expert for a crazy blast. As you start the first level you earn some initial goodies to get you going. click the green Start Round button to send in the bloons. You can hit Fast Forward to speed up the games speed. You’re going to unlock more different types of monkey towers and helpful items along the way but you may still have to earn the money by popping bloons to buy them forcing you to want to pop more to buy more. 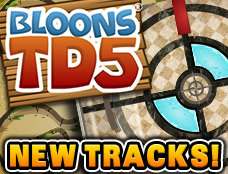 BTD4 Expansion has 4 fun and crazy new tracks that you can play on. The mesmerizing Sandy Spiral track and the Subterranean Sewers or you can explore Monkey Temple track and test yourself in the Triangle of Insanity. Which is always good for a laugh at least. 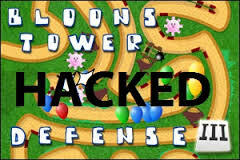 But at least with the Bloons Tower Defense 4 hacked then there is no need to worry about such big and scary names like that and just immerse yourself in God mode until you completely complete the game. Monkeys 1 – Bloons 0. Infinite money to spend on all items. Still have to earn and unlock items to buy them.